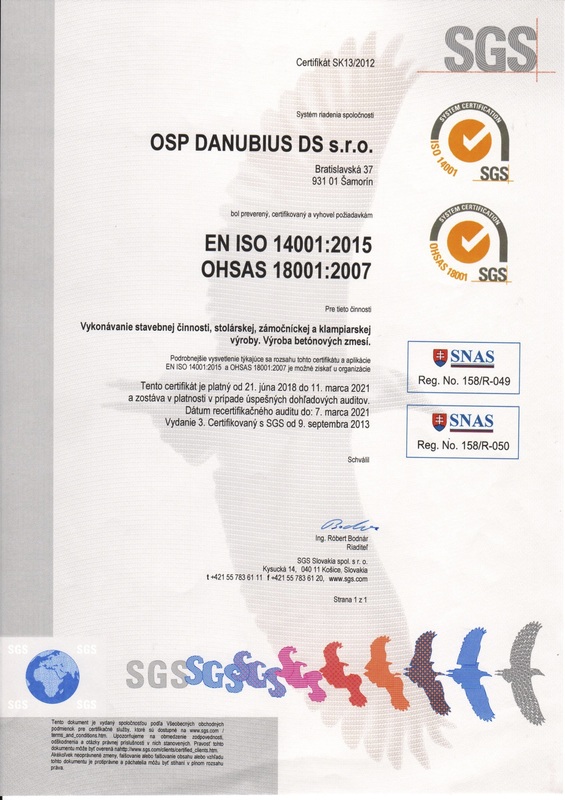 Our company OSP DANUBIUS DS s.r.o., was established in the first season of kupon privatization by transforming the national company OSP Dunajská Streda. The company was transformed to its todays form in 1999, when a quality controlling management and bunches of specialist of different professions were created ready to realize also technical difficult constructions. Our head office and also our production premises are situated in Šamorín, 25 km far from Bratislava. Our company is a holder of internationally accepted certificate STN EN ISO 9001:2000 since 2004 in folloving spheres: completion of construction works, carpenter, locksmith and plumber production and a production of beton blend. 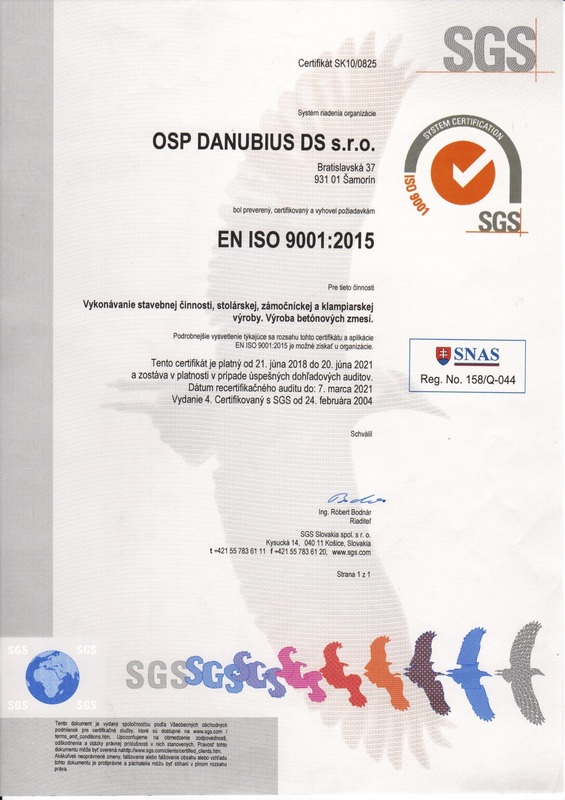 This STN EN ISO 9001:2000 certificate was administered by an international certificate company – SGS United Kingdom Ltd and Services Certification , Great Britain. We will be glad, if you will become our satisfied customer.